Applicable only for teh tarik (hot). 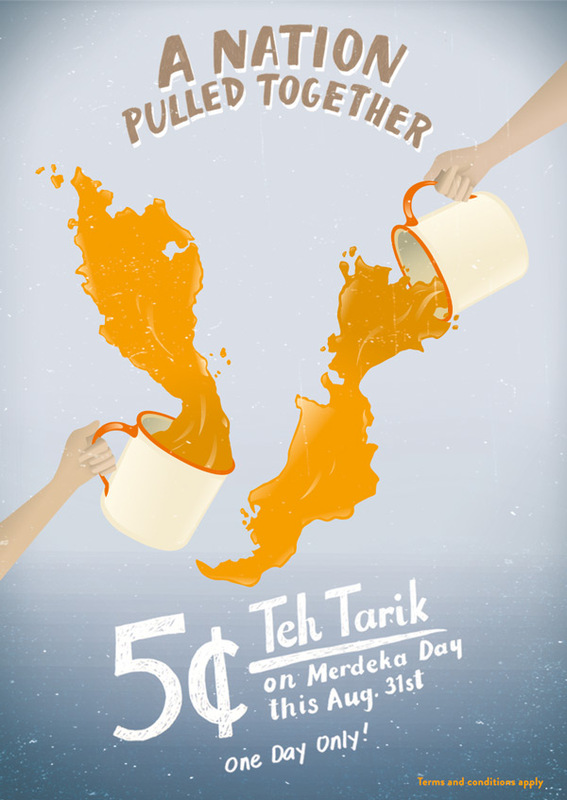 One person is only allowed to order a maximum of 4 glasses of teh tarik (hot) per transaction, per person. The promotion is only applicable for dine-in. The promotion is not applicable for take away or delivery. The promotion is valid on 31 August 2015 , from 10am-9.30pm. Teh Tarik Place Merdeka 5cent Teh Tarik! This entry was posted on Wednesday, August 26th, 2015 at 12:19 pm	and is filed under Food Promo, Local Cafe, mamak. You can follow any responses to this entry through the RSS 2.0 feed. You can leave a response, or trackback from your own site.